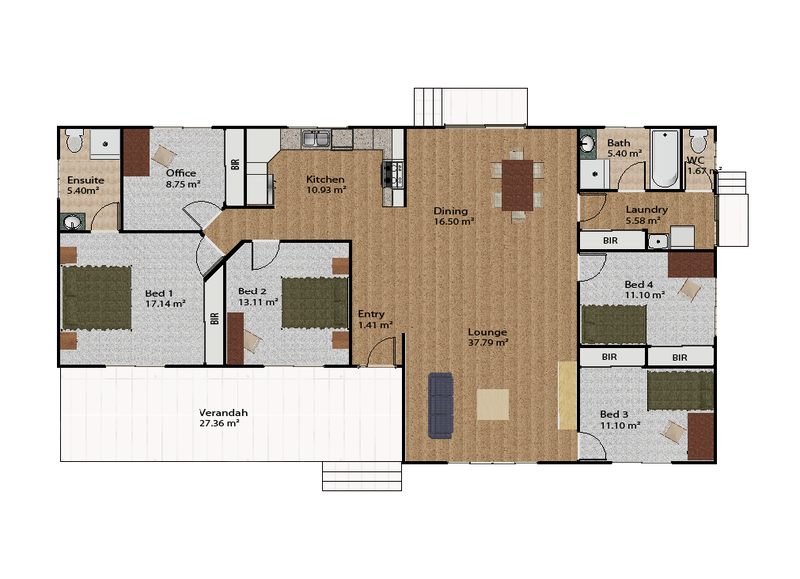 The Houston with four bedrooms and office has the room for today’s diverse families. The hub of the home is the lounge dining area that is situated in the middle of the house. This will be the meeting place for the family to socialise and catch up. Parents are well catered for with a generous main bedroom and en-suite as well as an office being located close to the main bedroom. Entertain friends or just relax with the family on the expanse of the front verandah. What a wonderful home for families.